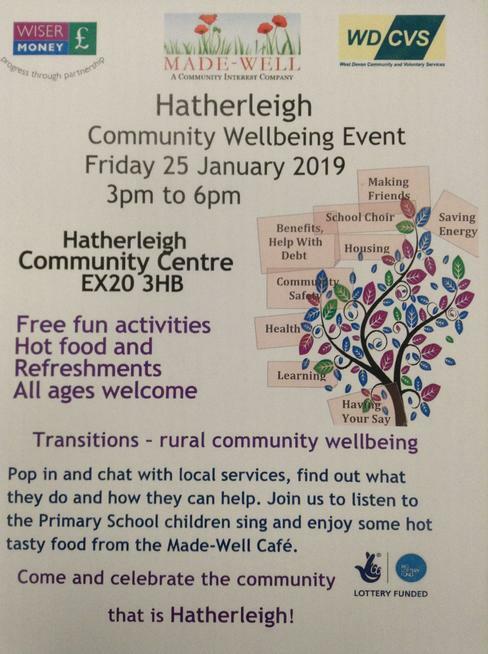 Hatherleigh Community Wellbeing Event. Friday 25th January. You are welcome to join us for the Wellbeing event at the Community Centre on Friday 3pm to 6pm. Some of our children will singing, playing recorder and the Ukulele from 3:45pm. More information is on the poster below.